To meet the most diverse applications, the ICBP® range is now available in modular furnaces, such as ICBP® Flex and ICBP® Jumbo, double chamber (ICBP® Duo) and single chamber furnaces (ICBP® Mono) and (ICBP® Nano). More than 200 installations corresponding to more than 1000 heating cells producing in the world today. 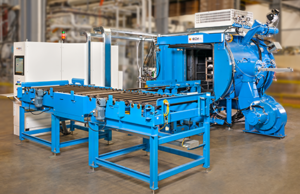 Not sure which product is best for your heat treating process? Contact us today and we will help you determine which LPC furnace or RTP/RTA furnace is right for you. ICBP® Nano is the latest product in the range of Low Pressure Carburizing and carbonitriding furnaces. The ICBP® Nano composes one module with 3 stacked up heating cells (which can be extended) and gas quenching cells to quench the parts. ICBP® JUMBO is the latest ECM solution design for the low pressure carburizing furnace range. It maintains all the compact and modular qualities of the ICBP® Flex however, design goes further in terms of volume and number of parts treated in a low pressure carburizing installation. 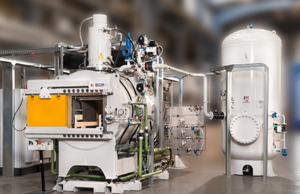 Our Flex is the most innovative and popular solution of ECM’s Low Pressure Carburizing furnace range. The modular and compact design of the ICBP® Flex meets the highest demands in terms of productivity and part quality. 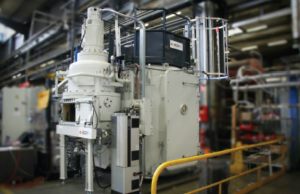 The ICBP® Duo furnaces contain one heat chamber using the Infracarb® patent for low pressure carburizing or carbonitriding, and one quenching cell. The quenching cell can be oil (hot or cold) or gas (maximum pressure of 20 bar). 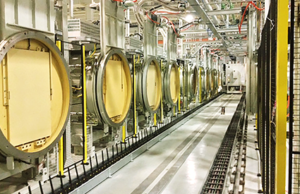 ICBP® Mono furnaces comprise a heating chamber using the Infracarb® patent for low pressure carburizing or carbonitriding. The cooling phase is performed with inert gas in the heating chamber. High-quality rapid thermal processing (RTP) or annealing (RTA) systems for semiconductor manufacturing. Rapidly heat samples to high temperatures to perform short processes on a timescale of a few minutes maximum!